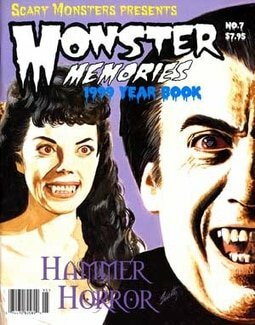 The Monster Memories tradition at Scary Monsters magazine continues with the 1997 Yearbook. All new not a reprint - and available in limited quantities right here! Collector's Note: Brand-new and uncirculated. Color cover and 162 B&W vintage pulp inside pages. Picked directly from the printer's shipping cartons.